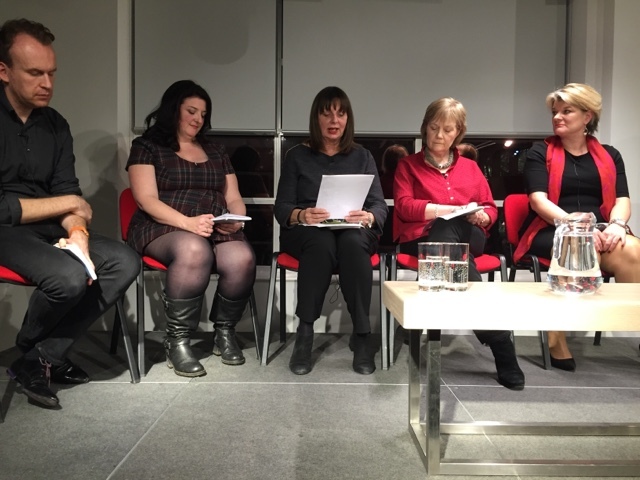 Last night I was lucky enough to go to the launch of the quick reads anniversary edition of short stories. The collection celebrates the 10th anniversary of the fabulous organisation that is quick reads. 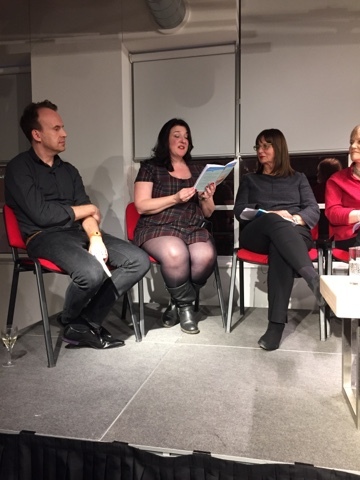 The event was held in Foyles on Charing Cross road, a lovely store, and featured readings from just a few of the amazing authors that have written short stories for the anniversary edition. Of course Quick Reads have released their usual collection of great reads this year too but some of my favourite authors are featured in this collection and so I was thrilled to be going! Veronica Henry took to the stage first. She edited the collection of short stories and read to us from her story Love Me Tender. It was great to have a snapshot of this story full of Elvis songs and hear that her usual writing style is clear throughout! Next Fanny Blake read her short story The Other Half. I really love listening to Fanny read and she actually read us the whole thing, definitely one I'd recommend! Elizabeth Buchanan was up next and she, again, read us her whole story. This one was seriously moving and featured a flashback to a memory about the D-Day landings, really intriguing! Her story is called moment of Glory. 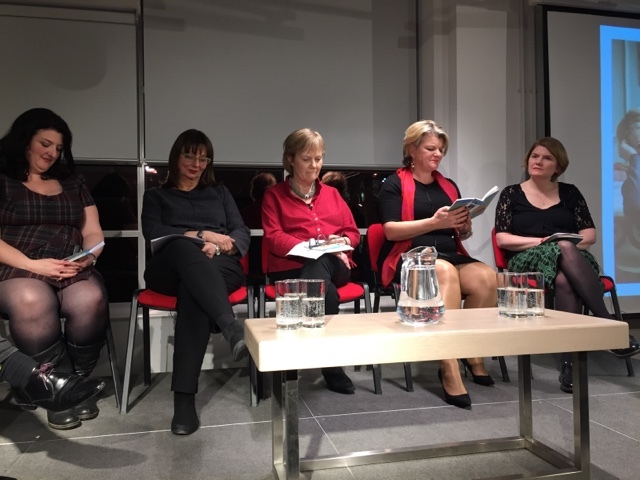 When Rowan Coleman took to the stage, it was particularly relevant that she was here, writing for quick reads again. Her first quick reads was in the first round of titles and was later relaunched giving all the proceeds to a domestic violence charity. Rowan herself is dyslexic and was fairly disconnected with reading when she was younger. She spoke about how she now speaks to groups of school children about dyslexia and explains to them that, despite the disconnect with her and literacy, she has now written over 2 million words! Rowan then read some of her story, leaving us on a cliffhanger. I read the rest of the story as soon as I got on the tube after the event-lots of fabulous twists in such a short space! Her story is called Birthday Secret. 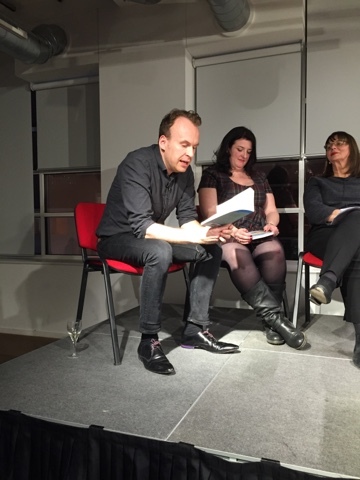 Matt Haig took the stage next and talked about how important books, reading and fiction is to mental health and himself. 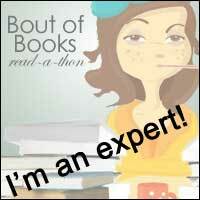 He read from his story A Walk Outside, explaining that it was inspired by his own agoraphobia. After all the authors has read, we had some really interesting questions from the audience, including a question as to why Quick Reads don't do 2 releases a year, only one. I for one would love to see another release during the year. I find quick reads so useful for times like these when all my attention is on my job and I don't have the scope to sit down and devour a novel like I normally would. I love a quick reads because I feel I can accomplish that 'I finished a book' feeling in a matter of days when the end of a full length novel just wouldn't be seen at the moment. This collection of short stories is even better because i can manage to get through a whole one in minutes so I get to read three fabulous authors in one sitting! 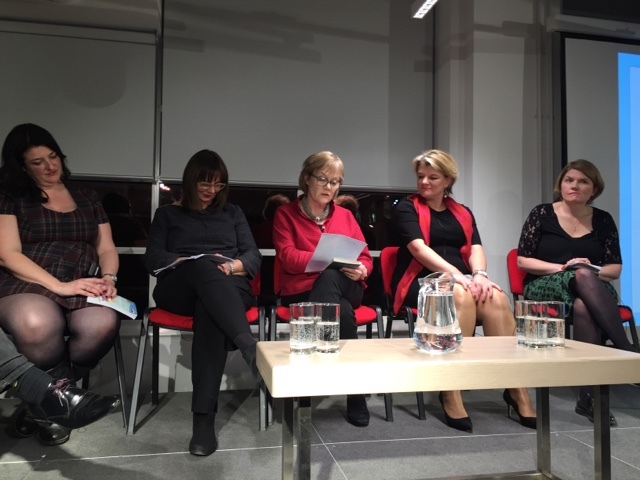 It was a great event and hosted incredibly well by Good Reads commissioning editor Cathy Rentzenbrink who was awesome with her questioning and a very open and honest host. 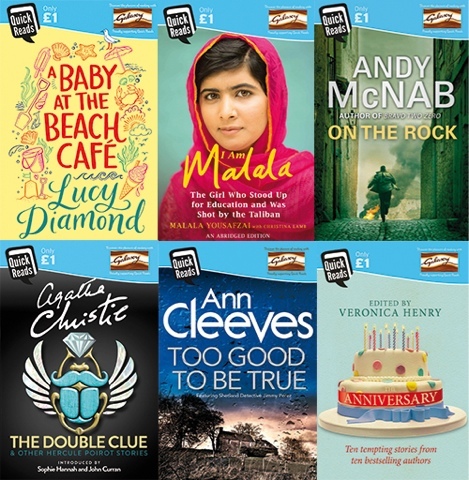 Don't forget that this year's quick reads launch today and there are some fab titles to get your hands on!